Kim Barrows, CEO of Tri-County Care Center Fairfield, OH. Readmissions are expensive—the average cost is $10,000—and put patients at risk for complications. 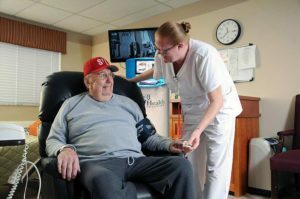 Your skilled nursing facility (SNF) suffers PAMA penalties and lose of revenue on each missed Medicare rehabilitation day. 78 percent of readmissions are preventable. 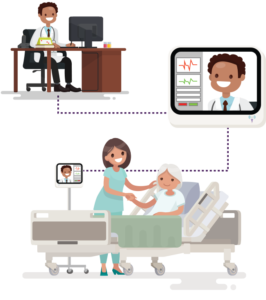 Our experienced TeleHospitalists understand the distinction between management that requires inpatient hospitalization and what can be treated as outpatient with access to patients’ EMR. 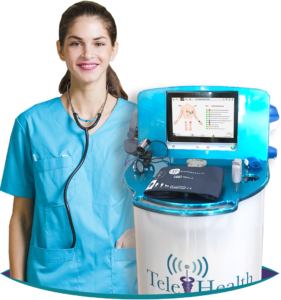 Discover How Our TeleMedicine Solution Works, Our Step By Step Process.